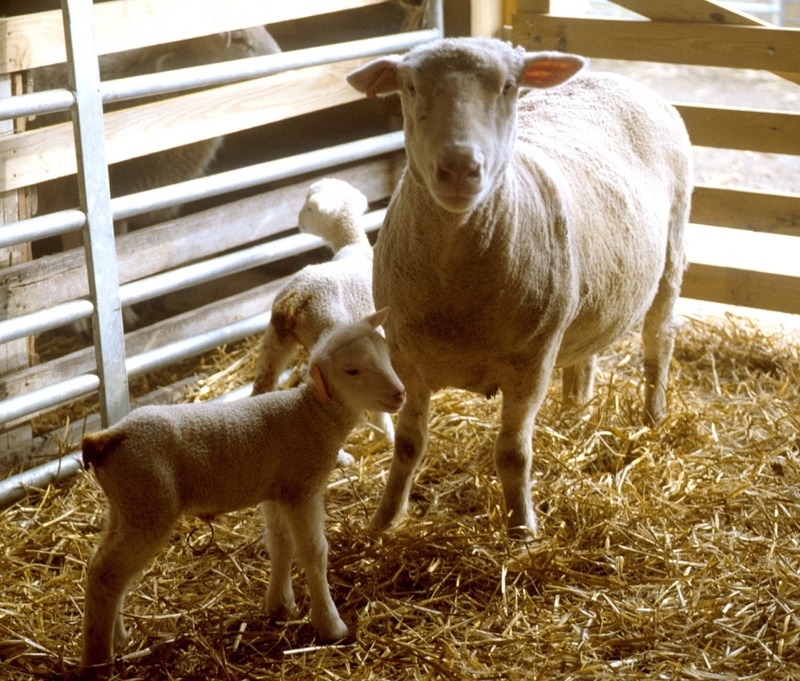 Are you interested in learning a new skill set that will greatly benefit sheep industry? Are you interested in the potential to make some money on the side working with your favorite small ruminant species? If you answered yes to both of these questions, look no further! All thanks to the support of the Ohio Sheep Improvement Association, the next sheep shearing school is slated for September 14 and 15 from 9:00 am – 4:00 pm at the Dave Cable Farm in Hebron, Ohio. 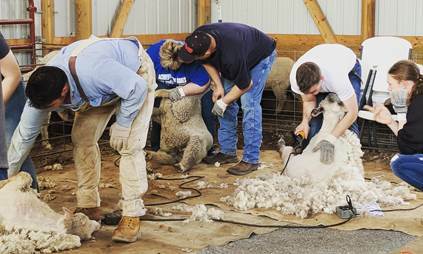 During this two day schooling event, attendees will be given the opportunity to learn how to properly shear a sheep using the Australian shearing technique. Those in attendance will be taught by veteran shearers as they walk through each step and demonstrate how to properly place the sheep and shearing hand piece in the correct location. Attendees will also learn how to effectively and efficiently initially place the sheep in the shearing position and how to keep the fleece all in one piece. The schooling is open to any and all sheep producers, regardless of your shearing experience. Even if you are an experienced shearer, you are bound to learn something new or to improve upon from the school! Who knows, maybe it could help you shear off a couple of seconds on each sheep that you shear. Please note that class space is limited and registration is due by Tuesday, September 4th. The cost to attend is $50 which includes a boxed lunch for each day. For those interested in participating in this years school, please be sure to fill out and return the registration form to Roger High as indicated on the form by September 4! This is certainly a skill set that every sheep producer should possess whether you have 1 sheep or 1,000 sheep. Trust me, it’ll be worth your time. We hope to see you all there! Shear on! Posted by Braden Campbell at 8:00am January 4, 2019 Posted in Events and tagged Events. Bookmark the permalink.